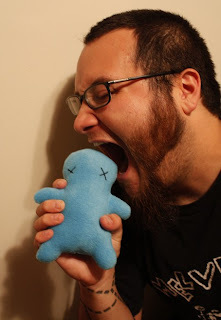 Edmund's dev blog for gay nerds: Limited Edition Dead Baby Plush!! Limited Edition Dead Baby Plush!! So as some of you know, Danielle (my wife) has been doing all the shipping of the cds, so i wanted to take the opportunity to give her "mad props" for being so awesome and taking on the hellish job of filling out and mailing all your packages their far far away destinations. Speaking of Danielle, i just put up a SUPER SPECIAL EDITION CD PACKAGE!!! 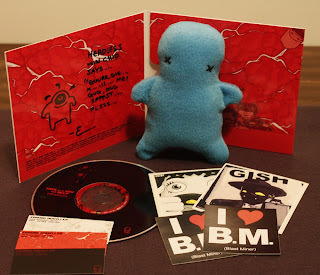 !, this one comes with a handmade dead baby plush doll made by the eternally awesome Danielleorama. We are also selling the larger plush dead baby dolls separately to those of you who might have already ordered the "not so special" edition ive been selling for the past 5 days. they are super awesome and very limited, so grab them while you can! Card Holder Monogram Multicolore are a great item, and you will find that they usually last a long time. If you purchase a bag made out of real louis vuitton Replica handbags , that Louis Vuitton Shoulder bags Totes Epi Leather can last you for 20 years or more, if it is well made gradually building your collection of Slippers Series , is a great idea. It might take a couple of years to get all of the mirage handbags , but once you do, you might not have to go shopping again for years. The very first handbags louis vuitton was actually carried by men. In Greek and Roman history, a jewellery louis vuitton pouch was made from animal hide and used to carry coins. It wasn't until the 1880s when a woman's monogram denim bags officially surfaced. At that time, sturdy Louis Vuitton Men's Belts luggage was the craze while more people began to travel by train. Luggage designers created a smaller lv Utah Leather intended as a small carry-on for a woman.